I liked how close it was to town. It was accessible to everything. Great spot! Breakfast was not included. The Location was good. Buses stopped at the corner, a short walk from place. Alternately, you could walk into St. John's. We walked back from the beach so it was doable. The location is very basic and based in a local neighbourhood. We had a couple of nights stay before moving to another leg of our stay. For this it was fine. Basic but neat and tidy. A reasonable walk into town of 20 -30 minutes meant you could access the St John's by foot going in and we would taxi back at the end of an evening. Stayed at Connie's for one night before heading home. The accommodation was fine for my purpose and there were no real complaints. It was quite basic compared to where I stayed previously for about $30 more per night. The pilot light had gone out on the stove meaning I had to buy some matches. Thankfully there is a small superette next door that sold everything. The staff were helpful and sorted me out with a separate WIFI router due to the normal one being a bit weak in my room. I checked out on Sunday when the reception was closed but arranged with the superette staff to leave my bag in the office until I needed to leave. The taxi organised for getting to the airport was arranged and on time. Staff amazing, lots of space (living area/kitchen/bathroom very large, great big shower). Two little supermarkets across the street, front desk staff called taxis whenever needed. Staff removed the fee for our first nights stay when we had to cancel last minute due to our cancelled ferry to get us there. Facilities were generally comfortable. Staff was very friendly. 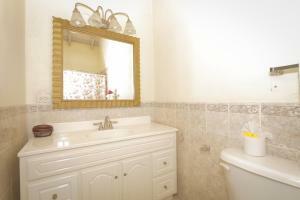 Quiet and spacious; owner very friendly and kind...offered me a lift to the Optometrist..,thanks! The staff were very welcoming and helpful. I am glad that the was a powerful A/C and cable tv with good stations since the WiFi internet was not reliable. 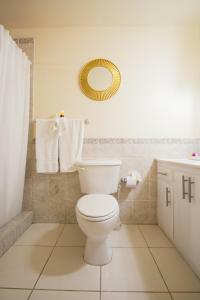 Connie's Comfort Suites This rating is a reflection of how the property compares to the industry standard when it comes to price, facilities and services available. It's based on a self-evaluation by the property. Use this rating to help choose your stay! 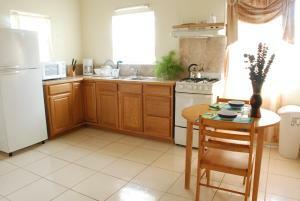 Located in St. John’s City Center, this property offers fully equipped apartments, free Wi-Fi and free parking. 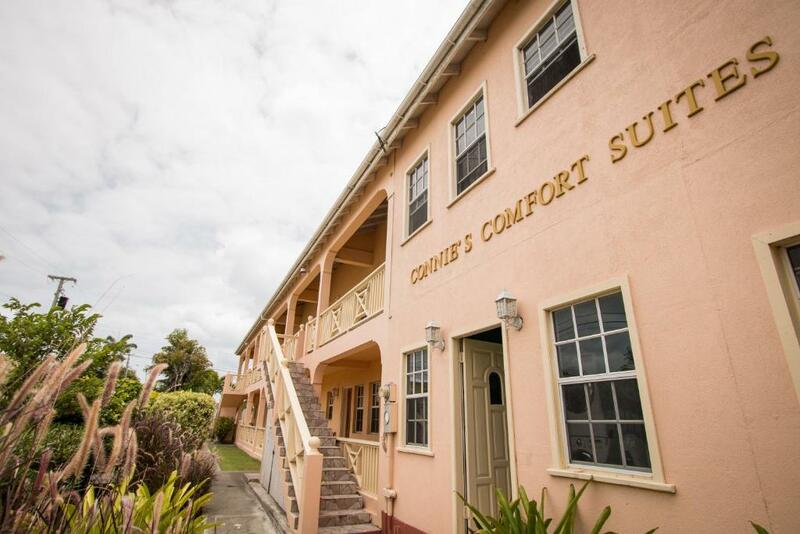 Connie’s Comfort Suites is just 1.9 mi from the island’s Caribbean coast. 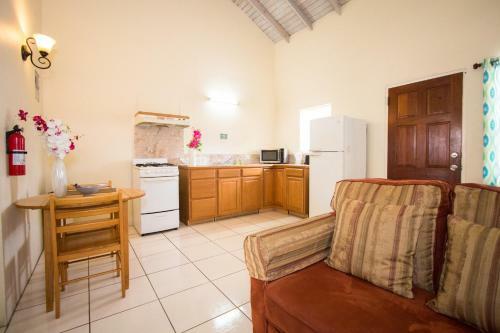 Each air-conditioned apartment at this property features a fully equipped kitchenette, as well as a small seating area with a cable TV. 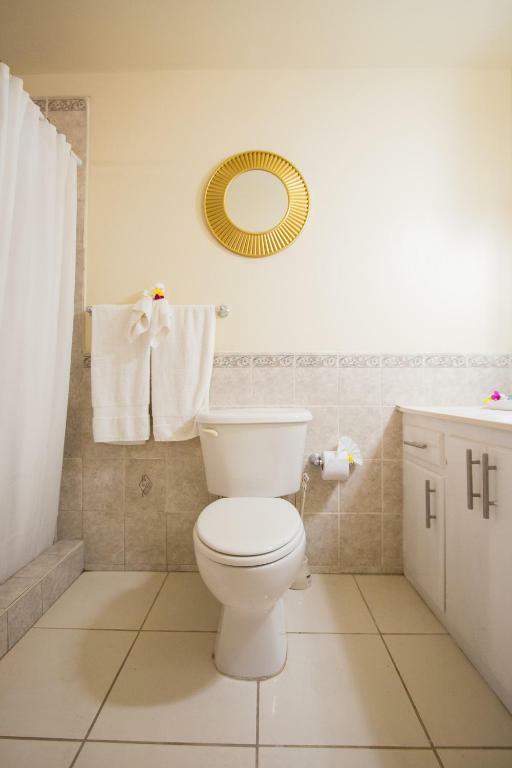 The bathrooms come with a shower and toilet. There is a supermarket 1.6 mi from the property for guests who want to cook at home, while guests will find a wide range of restaurants serving national and international food within 0.6 mi. The historic Fort James is 1.9 mi away, while the Museum of Antigua and Barbuda is a 15-minute walk. VC Bird International Airport can be reached within a 15-minute drive. 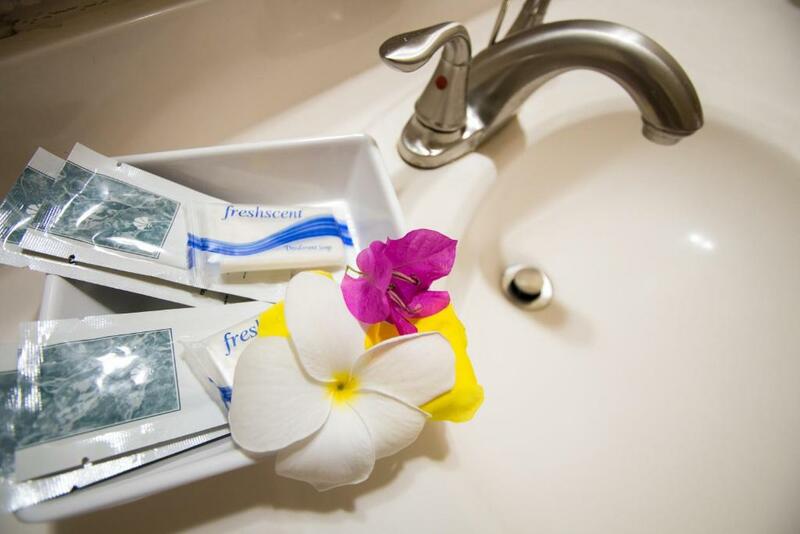 When would you like to stay at Connie's Comfort Suites? 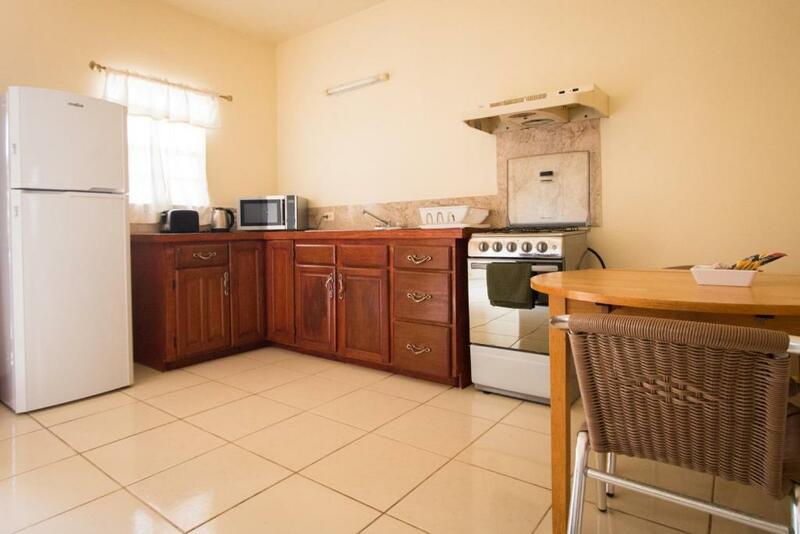 This apartment features a spacious, fully equipped kitchen. It also comes with a seating area, a dining table and a cable TV. The bathroom includes a shower and toilet. Free Wi-Fi is available throughout. House Rules Connie's Comfort Suites takes special requests – add in the next step! Connie&#39;s Comfort Suites accepts these cards and reserves the right to temporarily hold an amount prior to arrival. Connie's Comfort Suites accepts these cards and reserves the right to temporarily hold an amount prior to arrival. Please inform Connie's Comfort Suites of your expected arrival time in advance. You can use the Special Requests box when booking, or contact the property directly using the contact details in your confirmation. The street on which the suites were located wasn't great but was ok.
very basic and dated.The local neighbourhood was noisy in the mornings if you wanted to have a lie in. Only thing not really the property fault was that Booking.com say the check out is at 2030. This is not true. It is 1200. You can pay extra to stay until 1600 or 1800. The host was very nice. The room was comfortable. Sponge to clean dishes was very old and falling apart; new sponge should be necessary for each new tenant. Window in main floor shower is horrific, as anyone outside can see you (this happened to us, I crouched down to shower - never fun). Wifi was absolutely terrible. We stayed many places over our two week vacation and we left Connie’s as our destination to use for lots of planning since it looks so well set up, however the wifi was the worst we experienced. That being said, the front desk staff said we could sit in their and use the connection, however for what you’re paying you’d like wifi in your own room, especially if you’re planning aspects of your trip. Absence of burglar bars on ground floor. WiFi strength tended to be weak and inconsistent particularly in Room 6. No curtains at bathroom window. First, place chosen based on name, which is deceptive. Having “Comfort Suites” in title, gives a different perspective of what to expect. Location in the heart of less the fortunate residence. All eyes on you, like “what are doing around here” look. Staff nice and friendly ! EVERYTHING! There was mold on the washroom ceiling. The couch looked moldy. The bed wasn't comfortable and looked as if bed bugs were about to crawl out of the sheets. There were mosquitoes flying everywhere. There was accumulate dust in every corner. It was just not a good experience at all! I couldn't sleep the whole night. A bit noisy due to work being carried out on the building behind. Curtains are see through, extension is being built behind the property so builders look directly into the bedroom, water was cut off and needed to be repaired, no room cleaning so no provision of toiletry essentials, couch is too small to lie out on, kettle didn't work, shower was weak, little roadside business looks directly into the rooms all day long, about a mile from the town in a residential area where the locals don't like tourists. 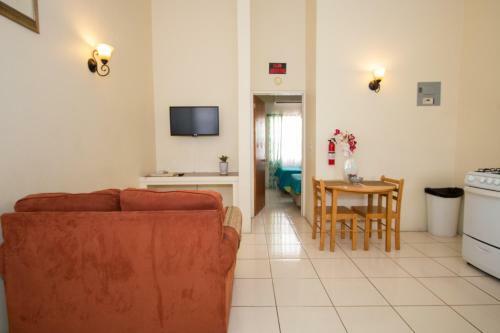 Reasonably large main room and bedroom, good TV and wifi, minimart nextdoor, airconditioning, fridge, cooker, microwave and toaster, almost no flies, within 15 mins of the airport, easy to find on foot as you turn off the main road at the KFC. The bed was a little too soft. The apartment is very basic but was fine for an overnight quick flight in and out. Low water pressure in sink and shower. Needs locks on all the windows. Darren was fabulous. He went out of his way to make my stay very comfortable. He assisted in transportation and getting a meal on a late evening. He's the best. The bathroom was large along with the shower.